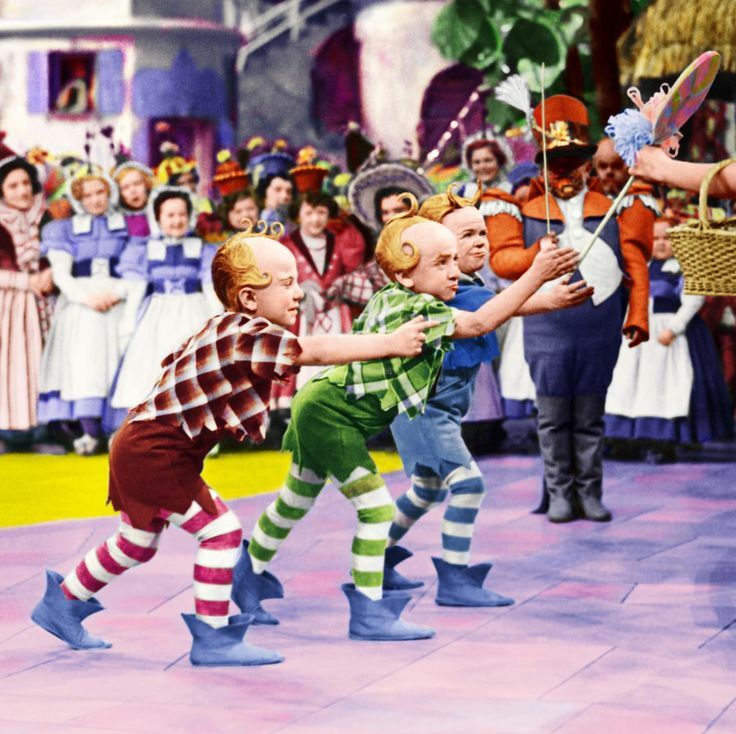 There’s no place like home—but a magical party is a great alternative. 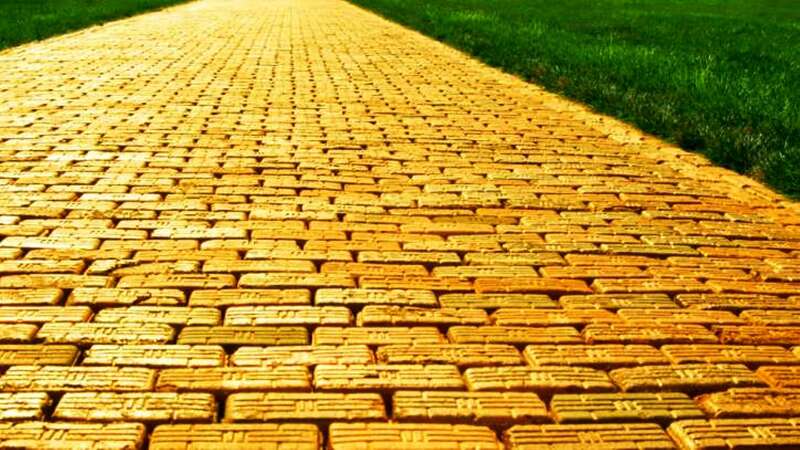 To guide guests from the parking lot to the party entrance, lay out a yellow brick road. This could be accomplished in a number of ways, from a simple yellow or gold outdoor rug to sidewalk paint, or physical, painted bricks. Picture this: your guests arrive to your party through a black & white entrance. Everything is grayscale; not a shred of color is visible to the eye. They retrieve their drink tickets, then enter through a corridor, after which color is restored and a vibrant palate of bright, whimsical decor takes over. 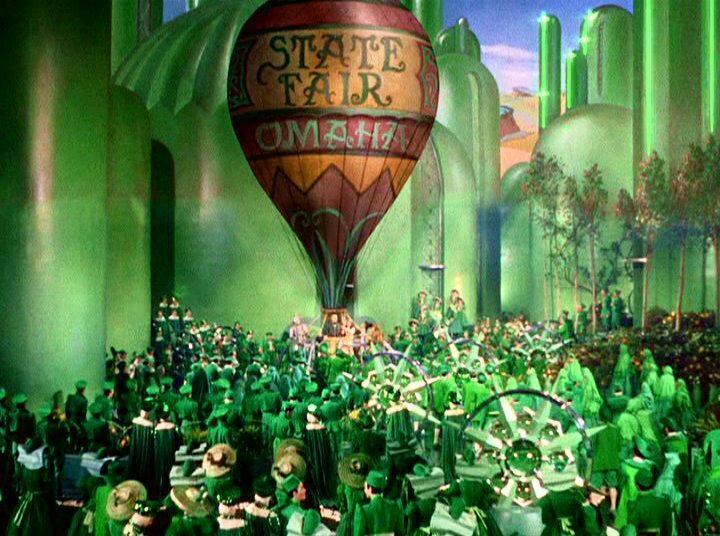 At the center of your event space, Oz is revealed. 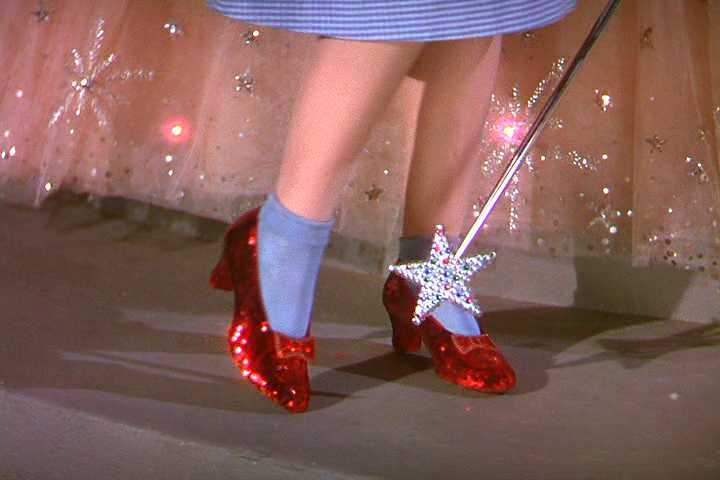 Remember, it was called the Emerald City for a reason. Greenify everything. Green walls, green uplighting, and green table linens. Ask guests to dress in all green for a truly Emerald effect. 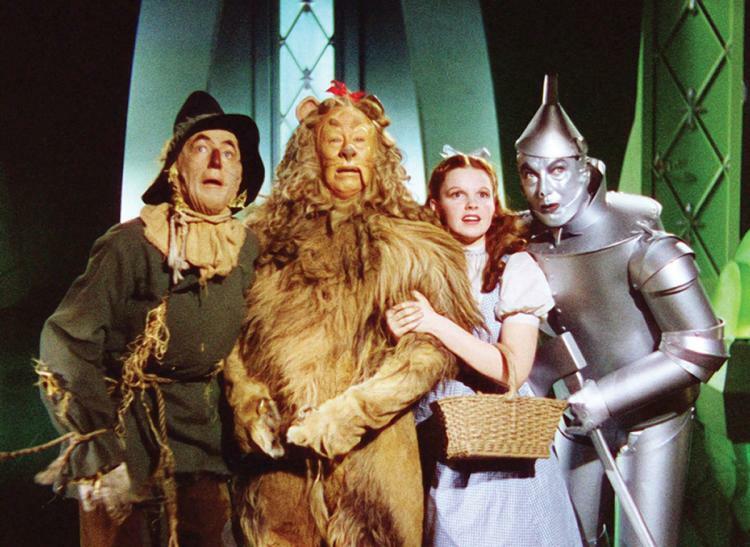 Oz is not for the faint of heart. The only limit to decorating for a Wizard -themed party is your imagination. 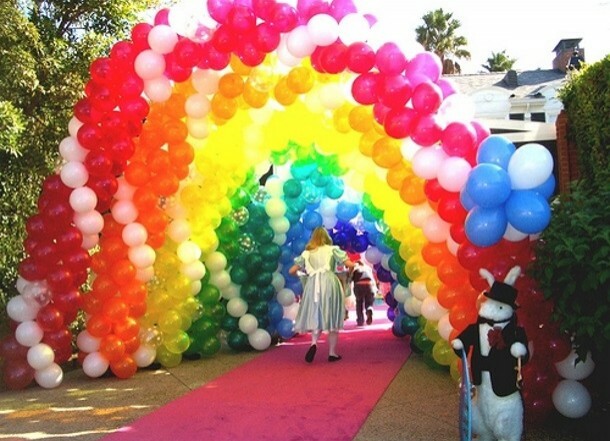 Install a giant balloon arch in rainbow colors! Decorate with large lollipops as signage! Hire actors (or the boss) to dress in character! Time to bring in some outside support? Consider balloon twisters and dreamy concessions. Ask you event planner for recommended vendors, then give them this simple advice: what would you serve in Oz?